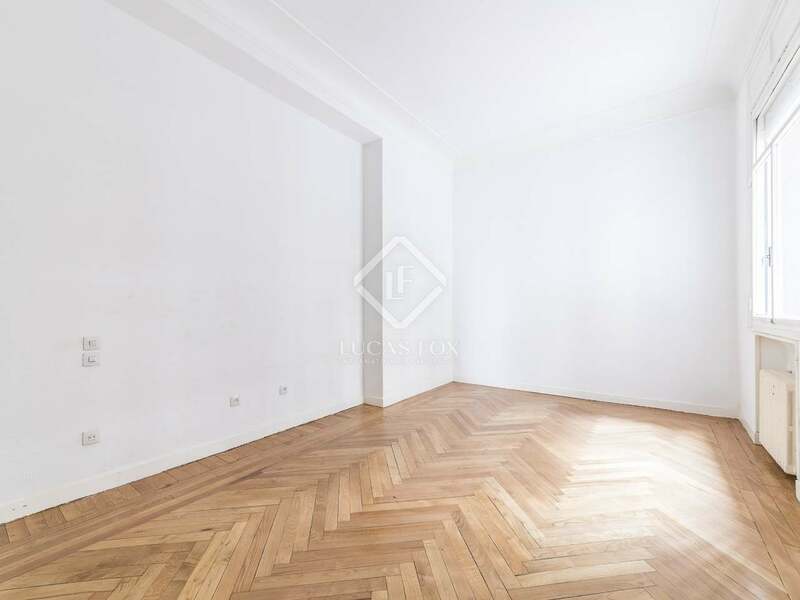 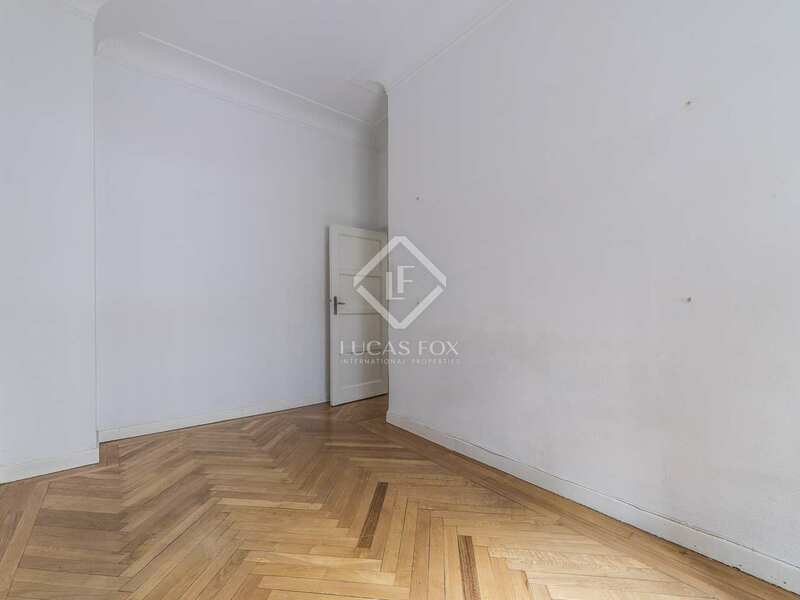 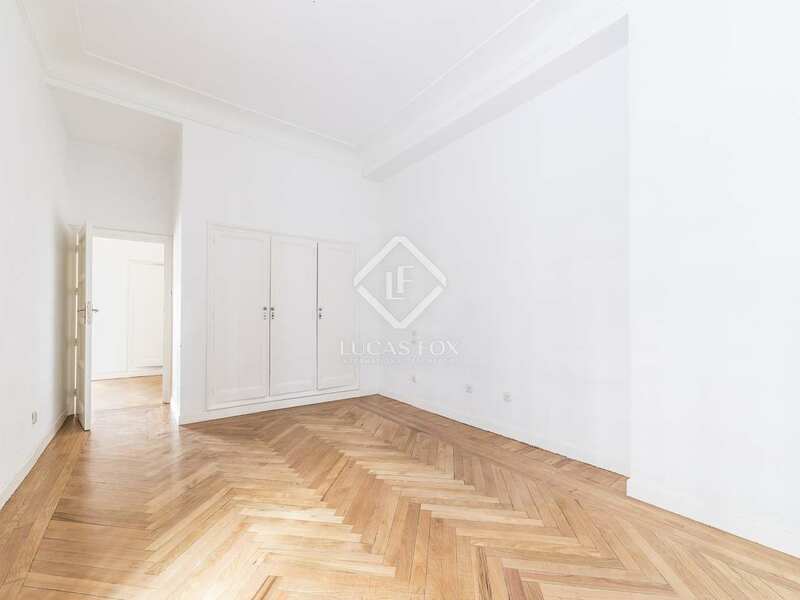 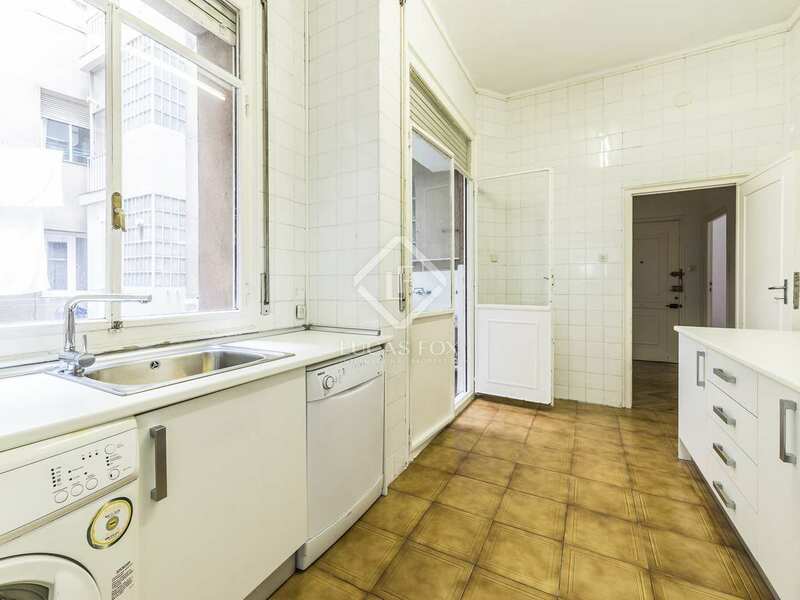 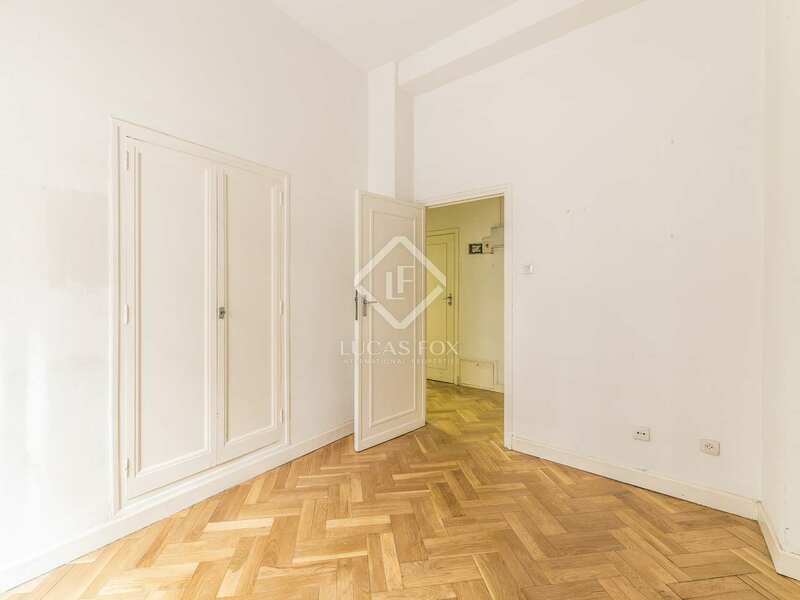 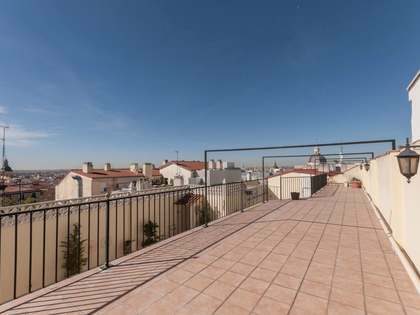 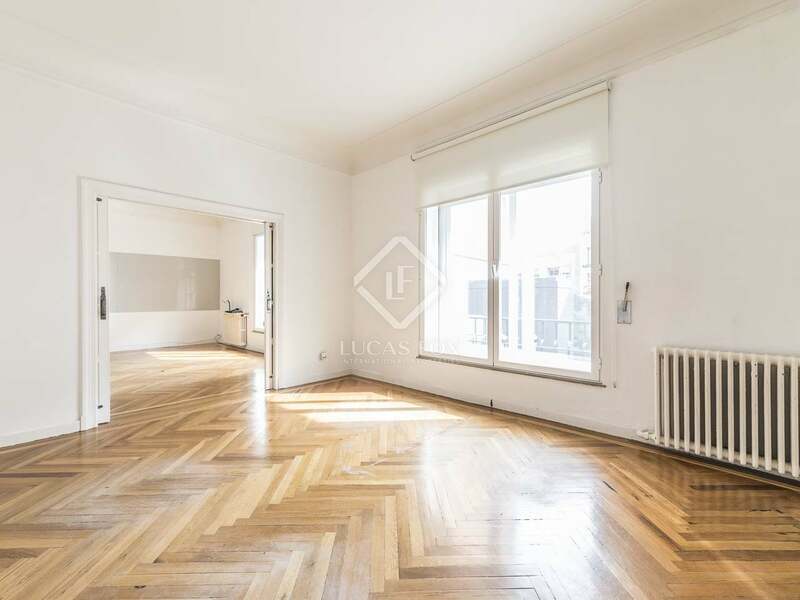 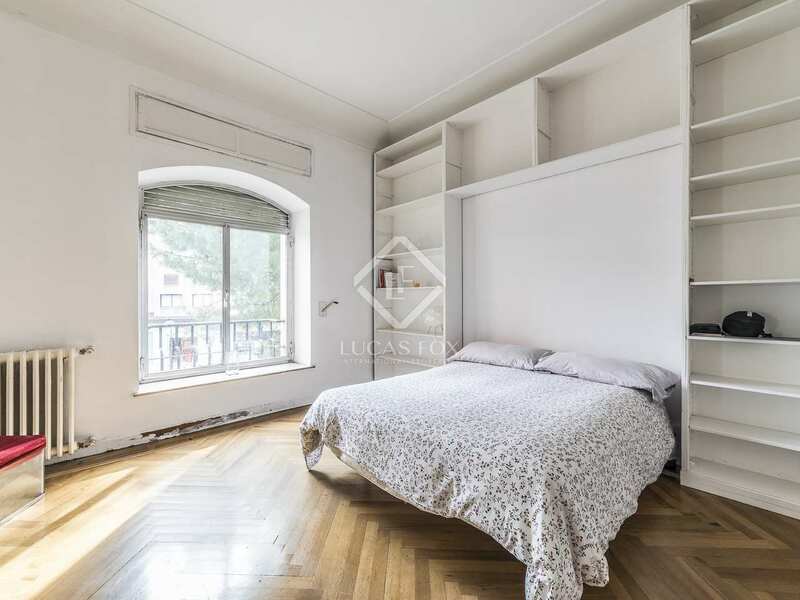 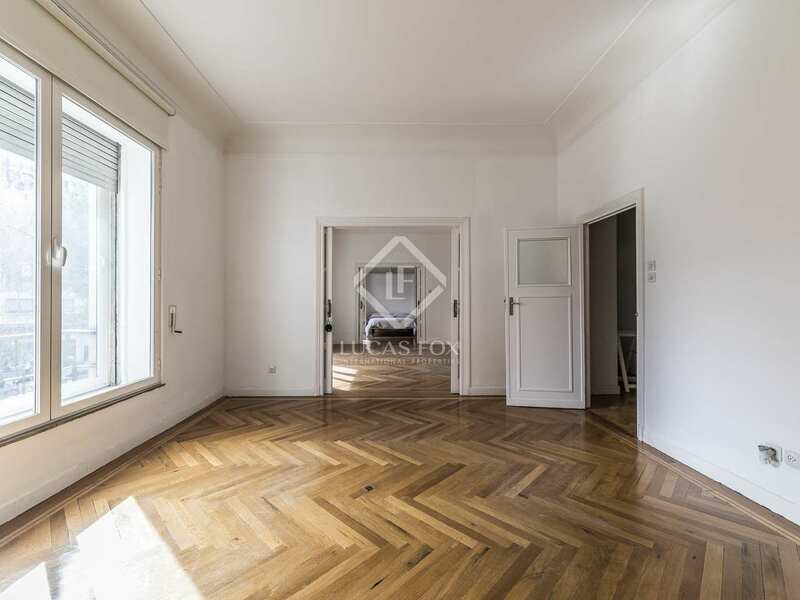 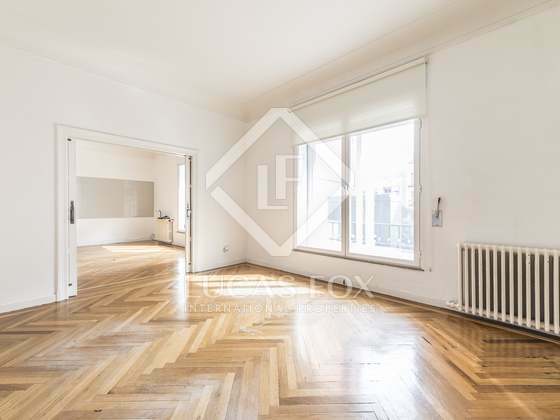 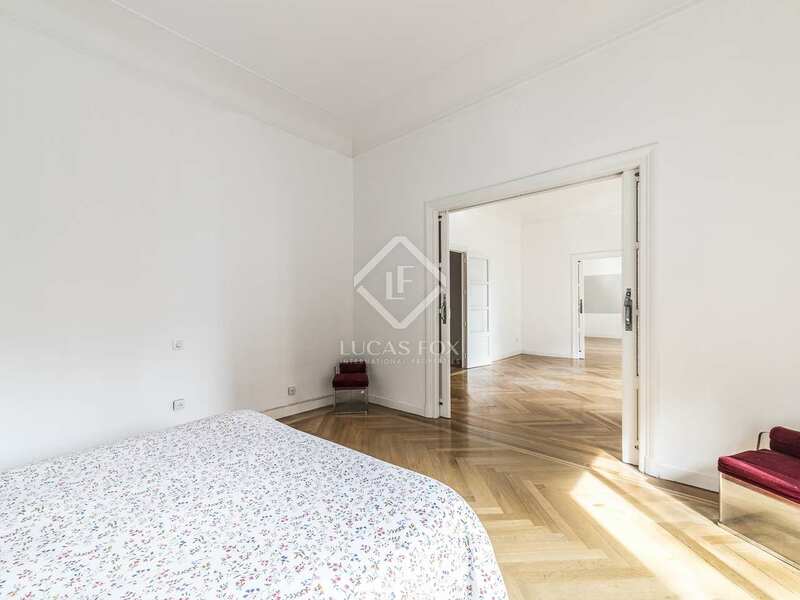 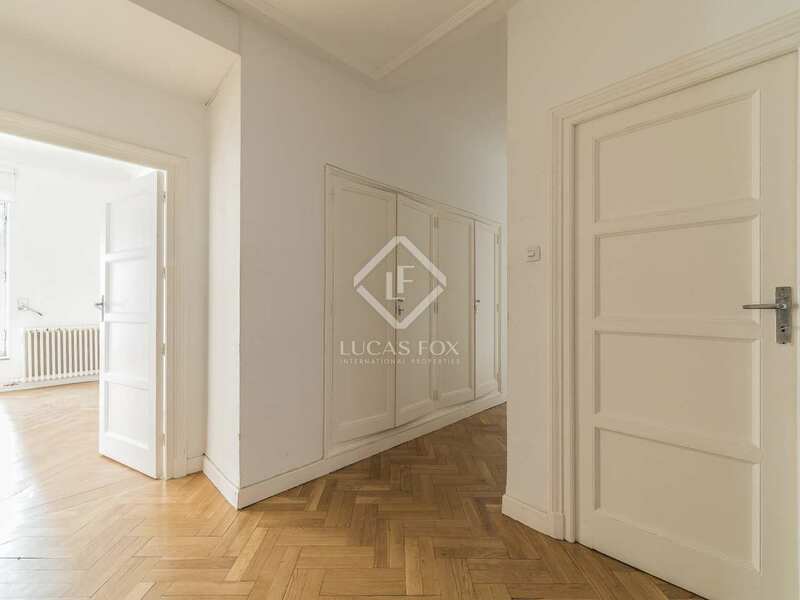 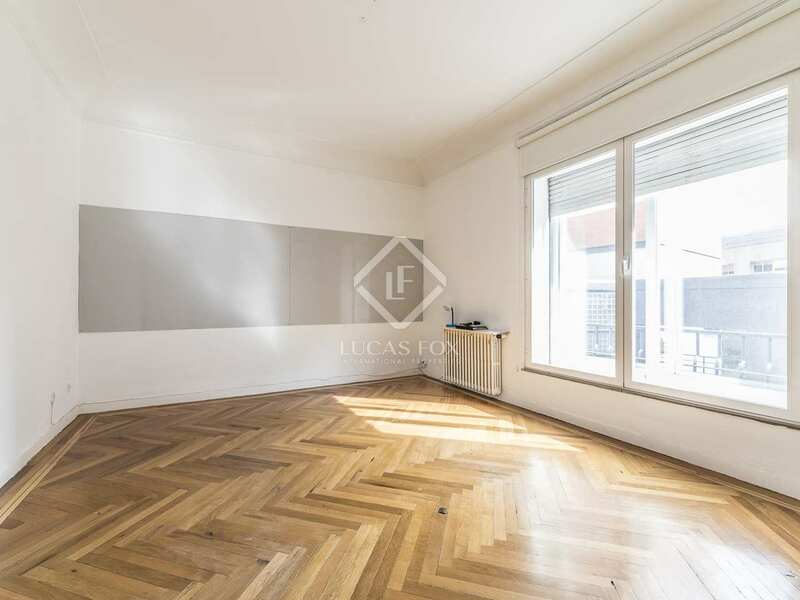 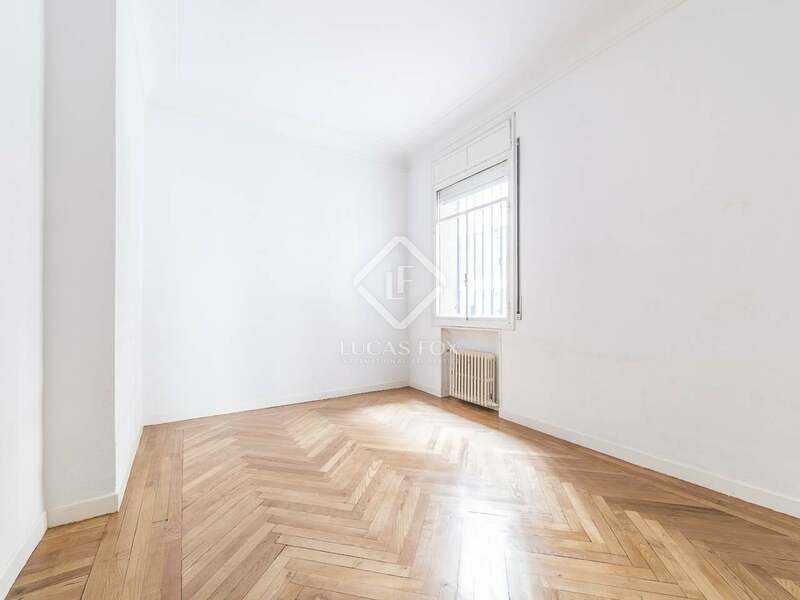 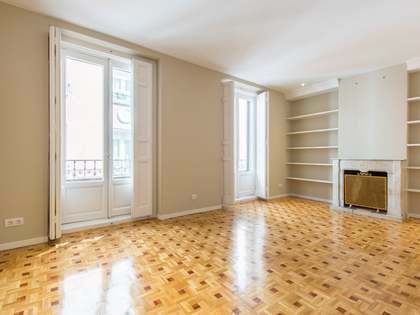 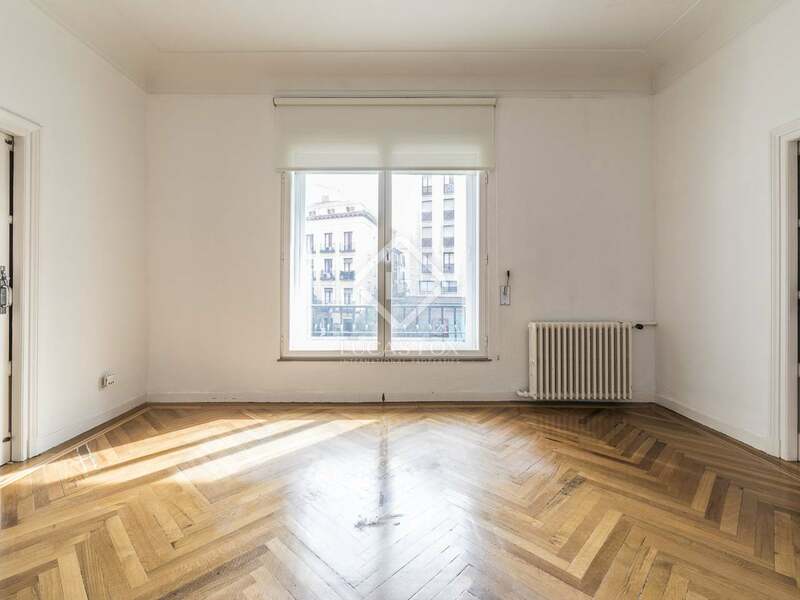 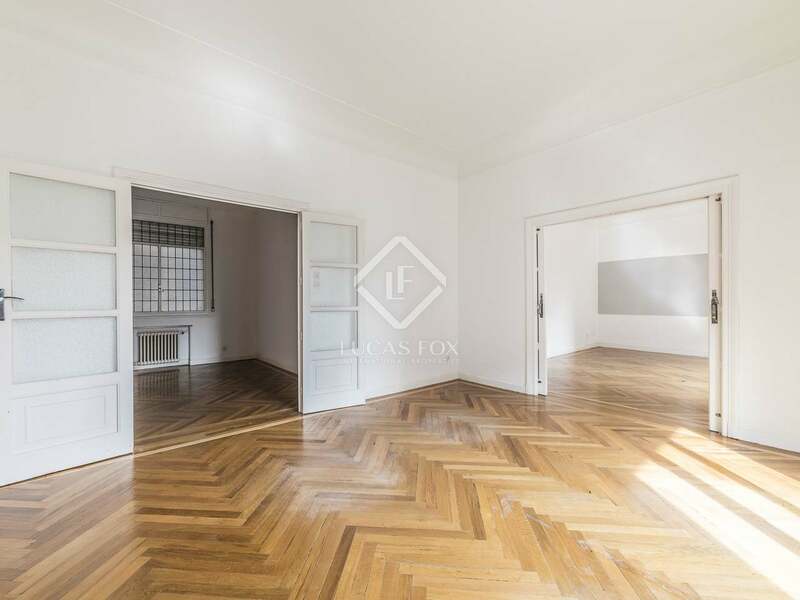 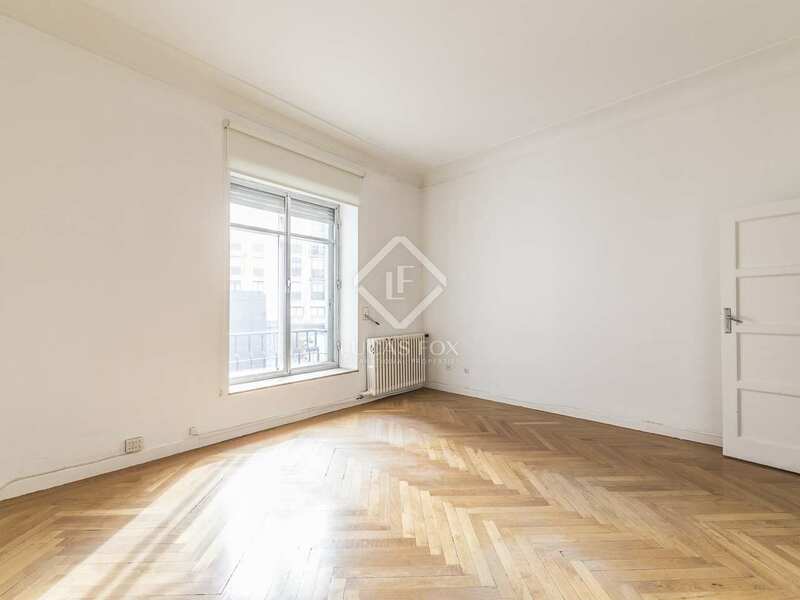 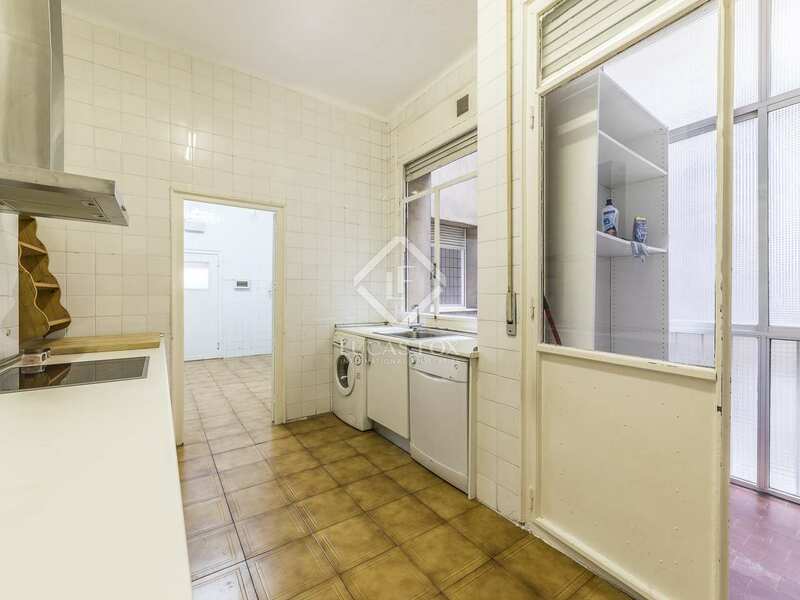 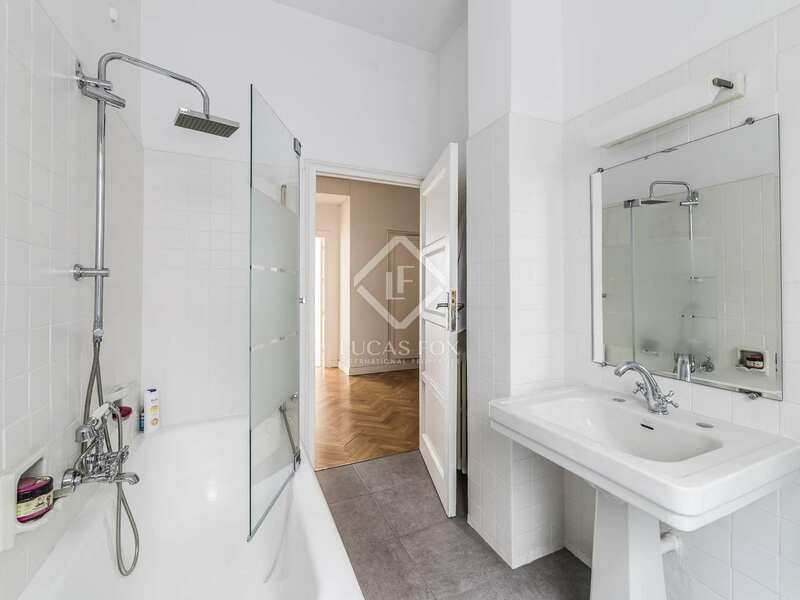 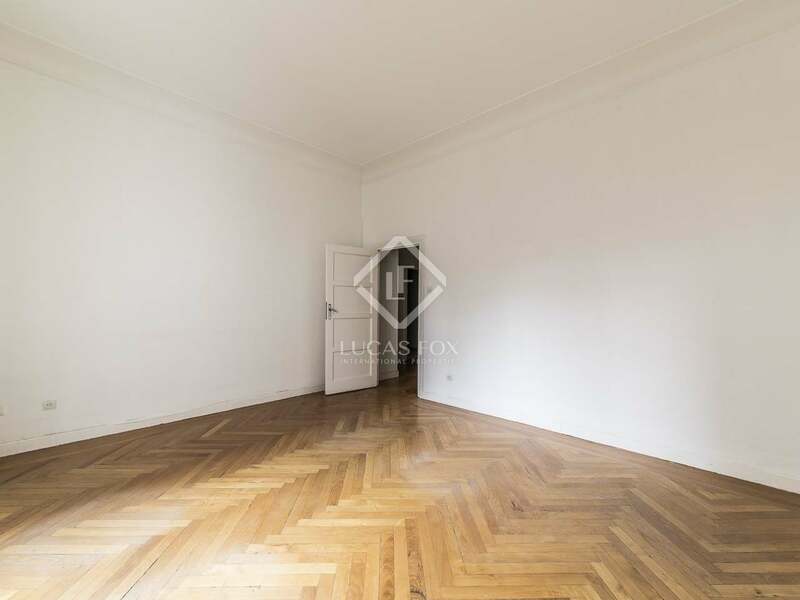 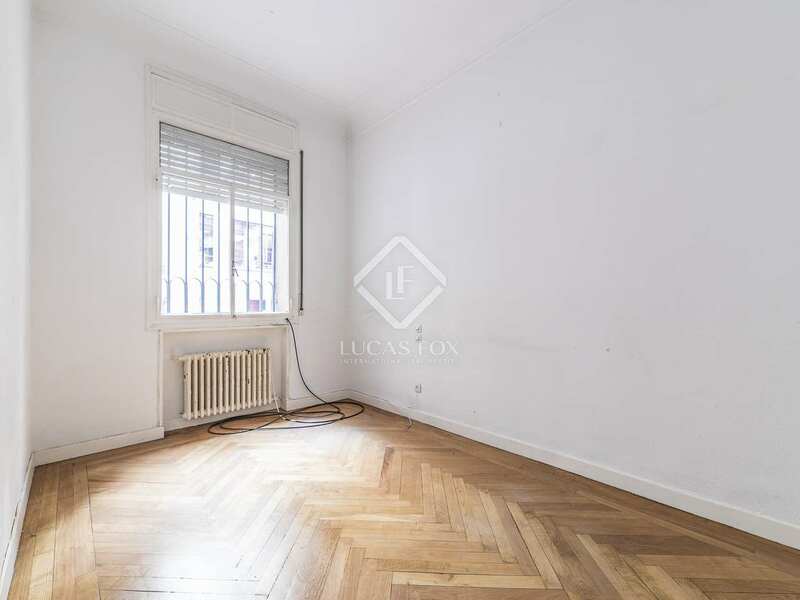 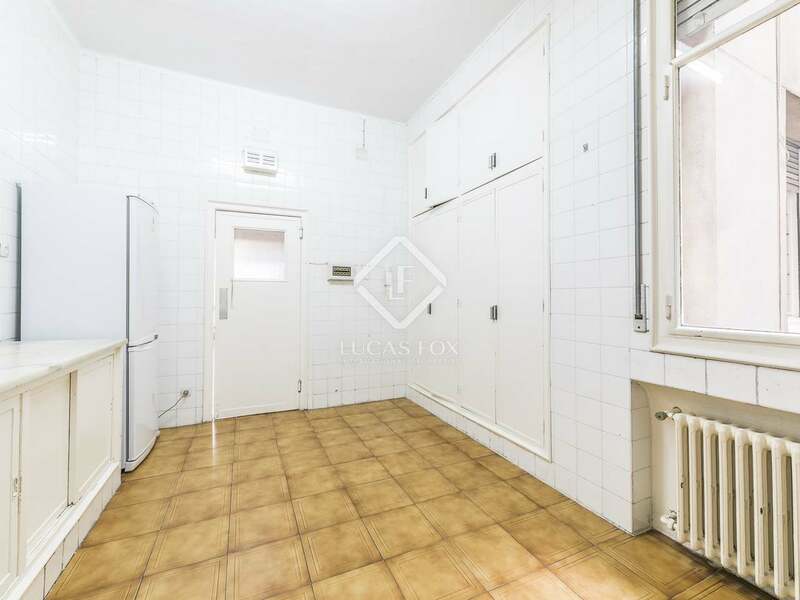 Fantastic 3-bedroom apartment to renovate with lovely views, lots of natural light and a parking space, for sale in the centre of Madrid. 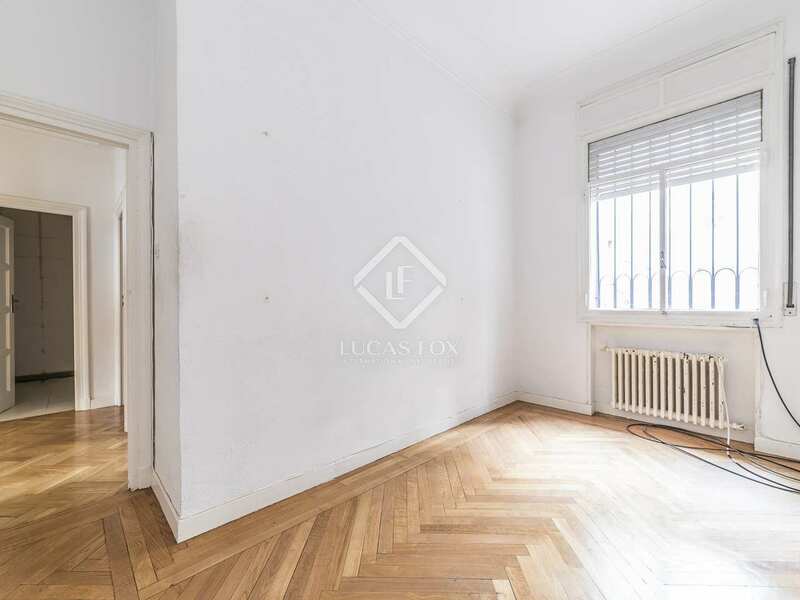 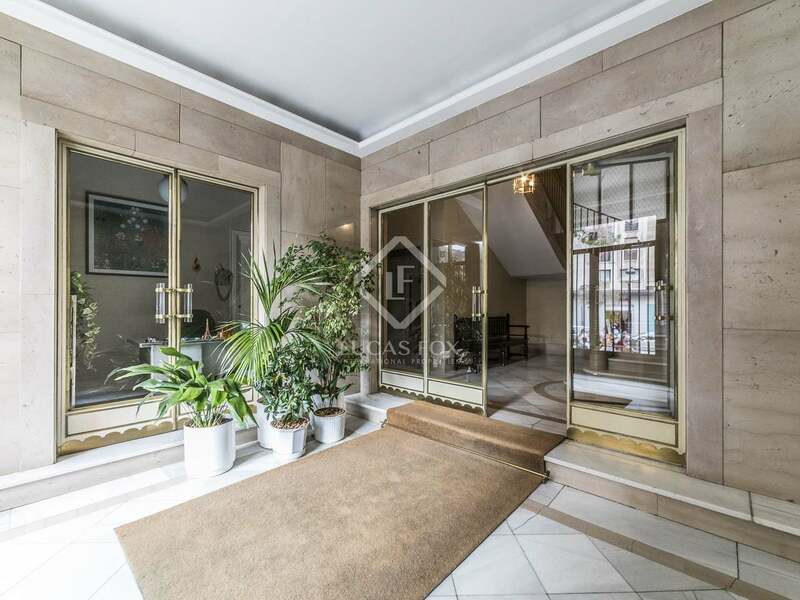 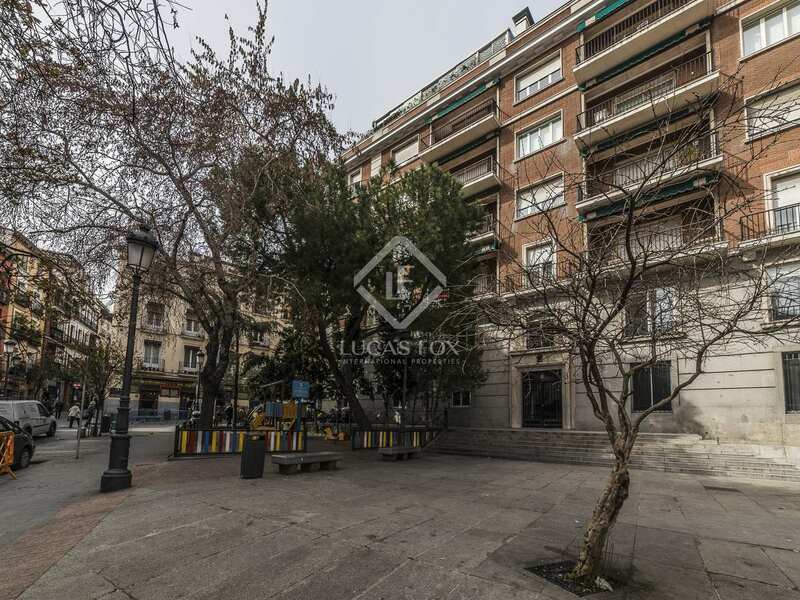 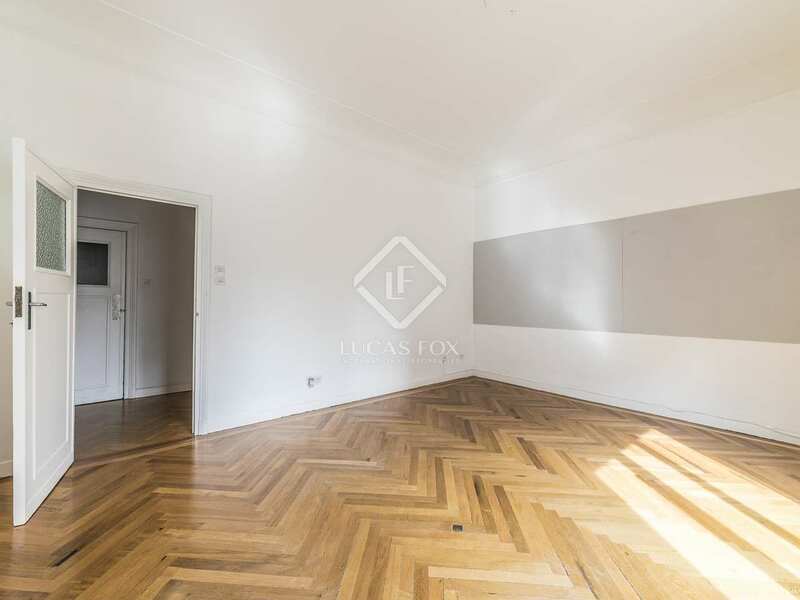 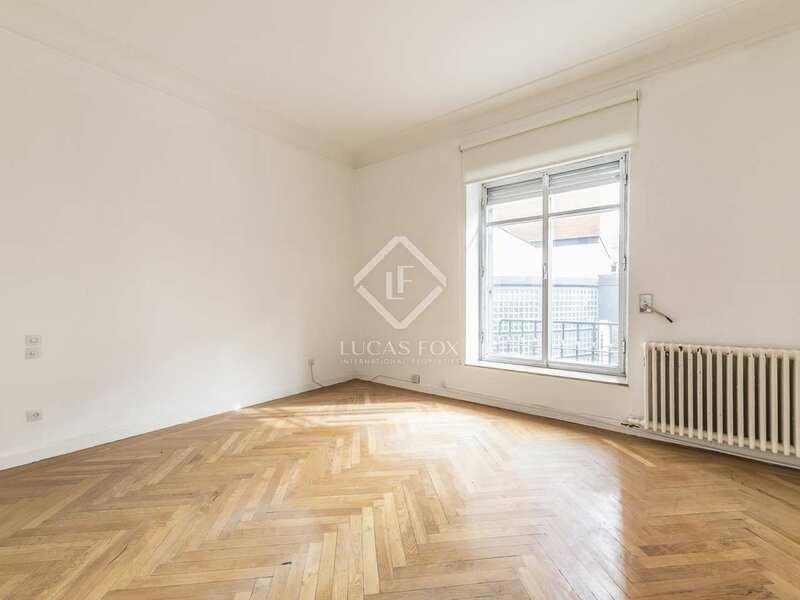 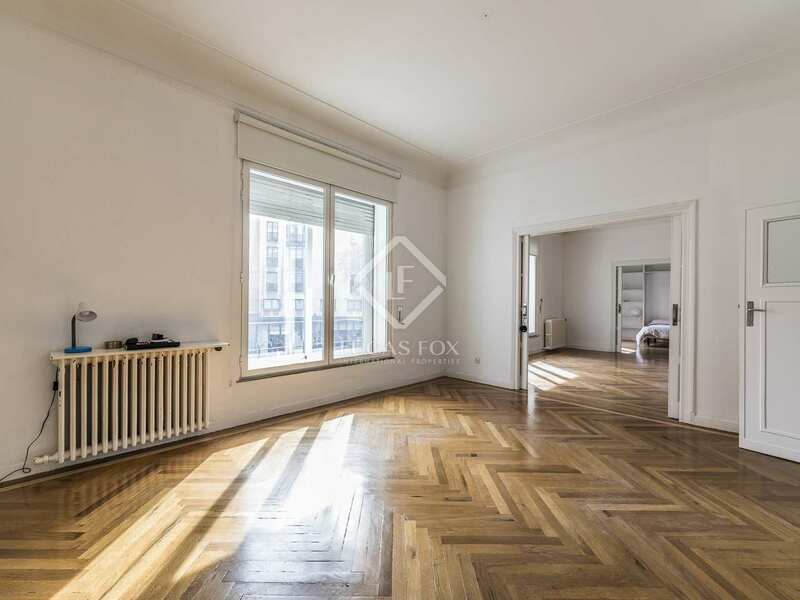 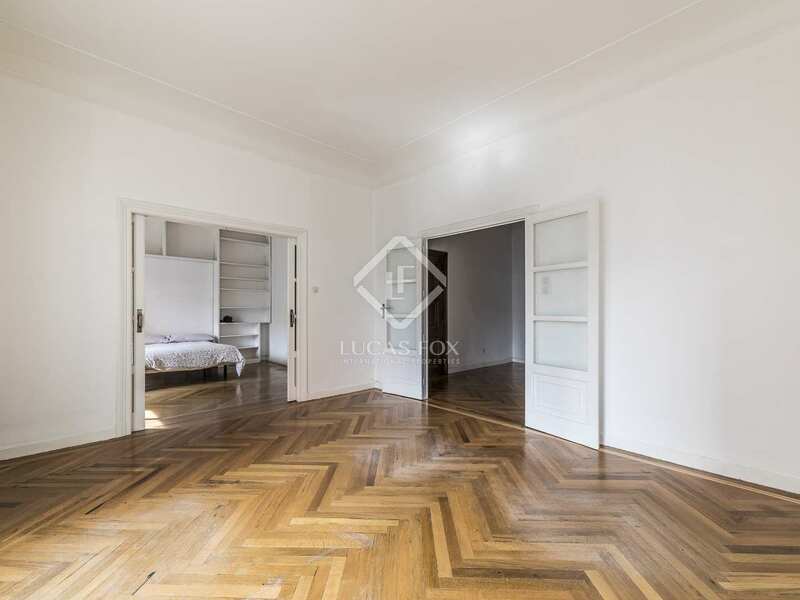 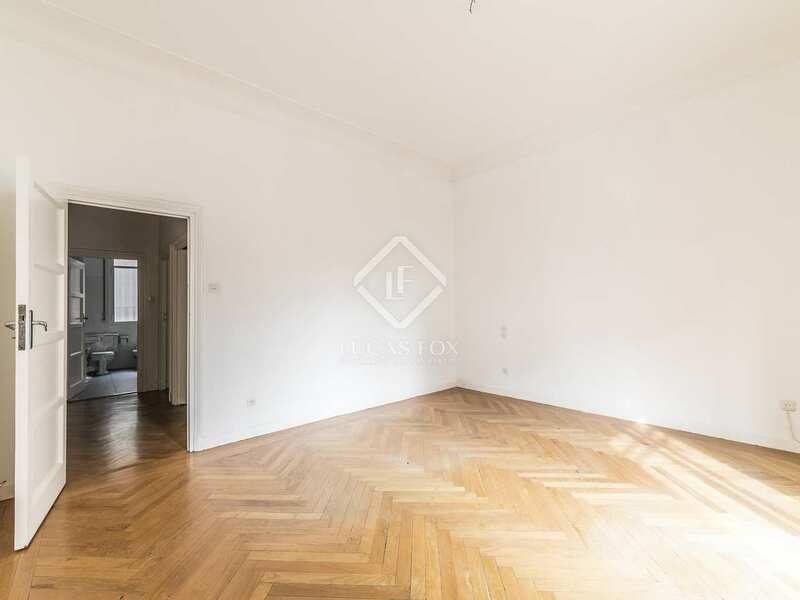 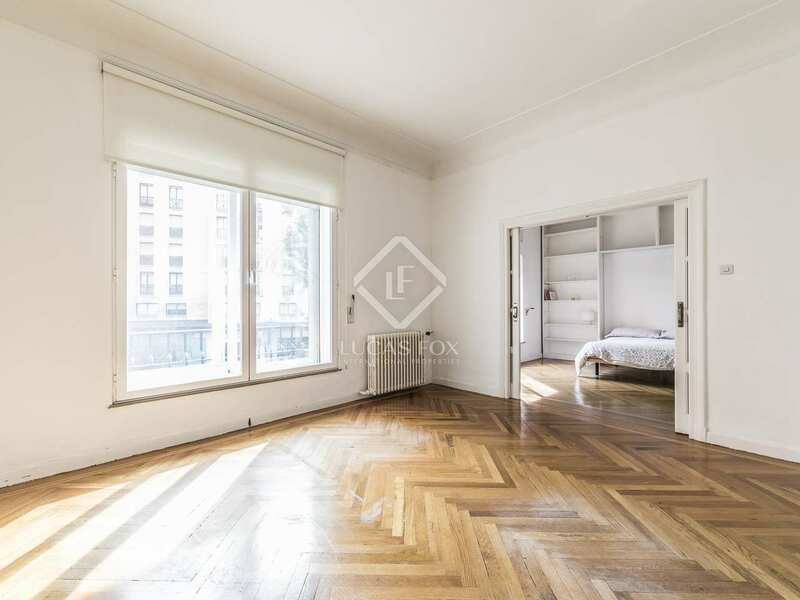 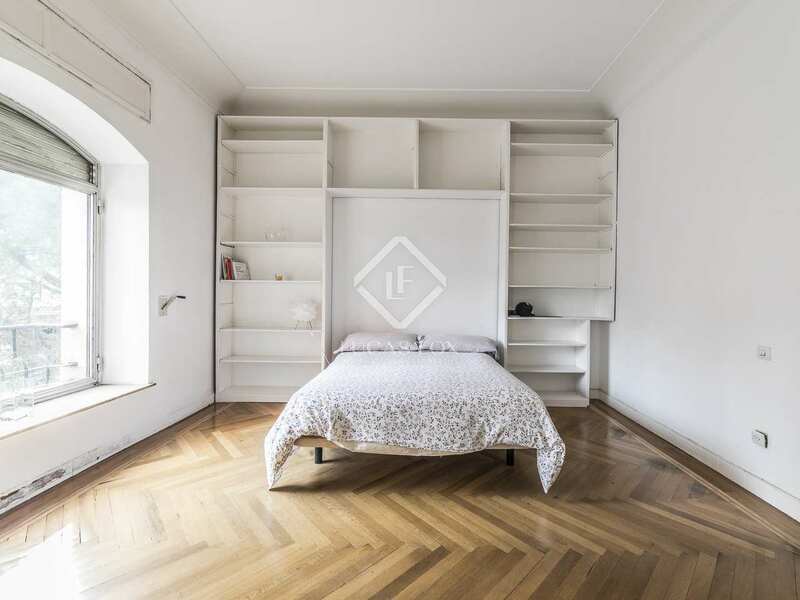 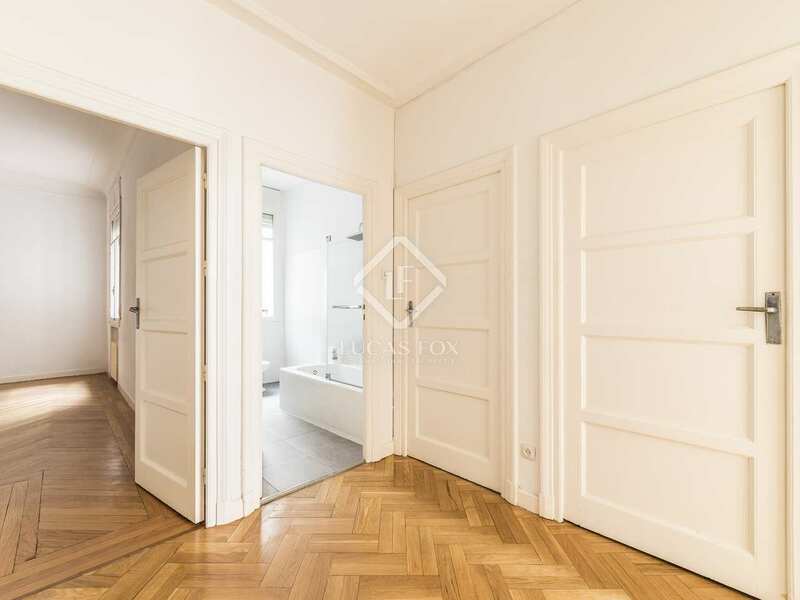 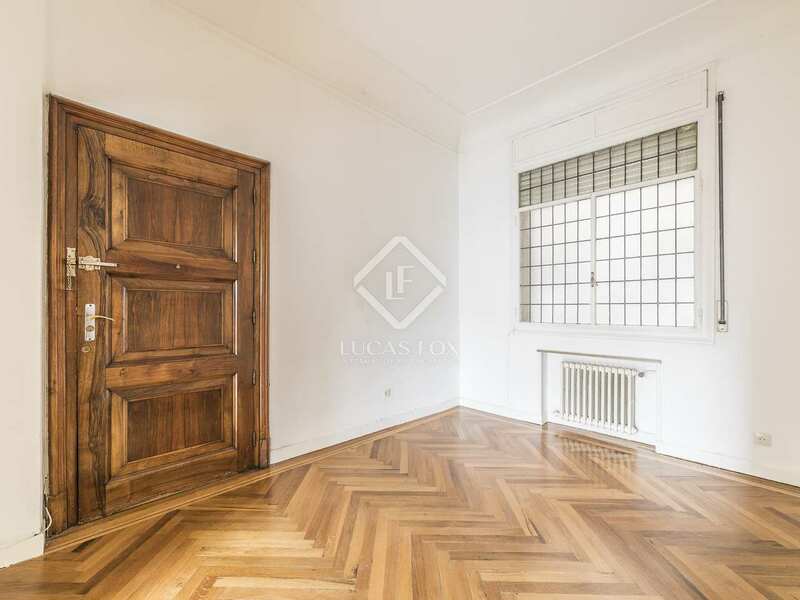 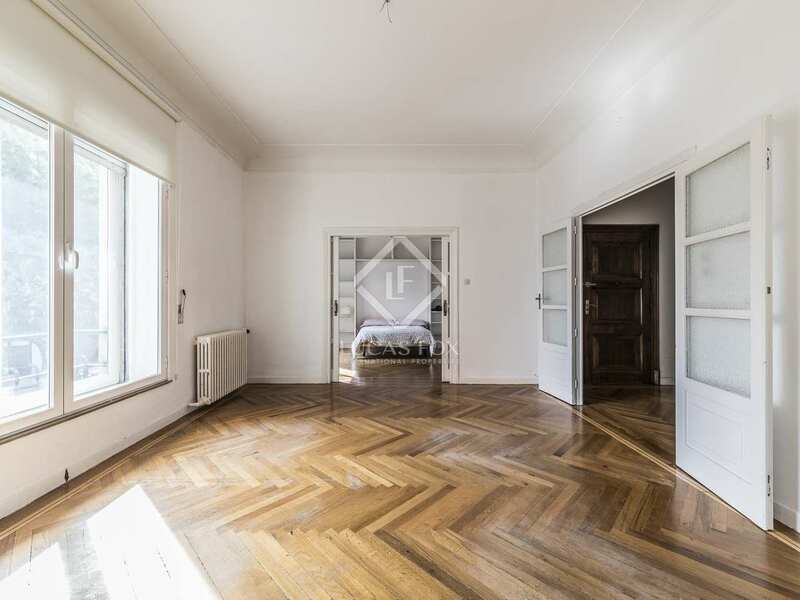 This fantastic apartment to renovate is located in the distinguished neighbourhood of Las Letras, in a beautiful building dating back to 1952 built by architect Luis Gutiérrez Soto. 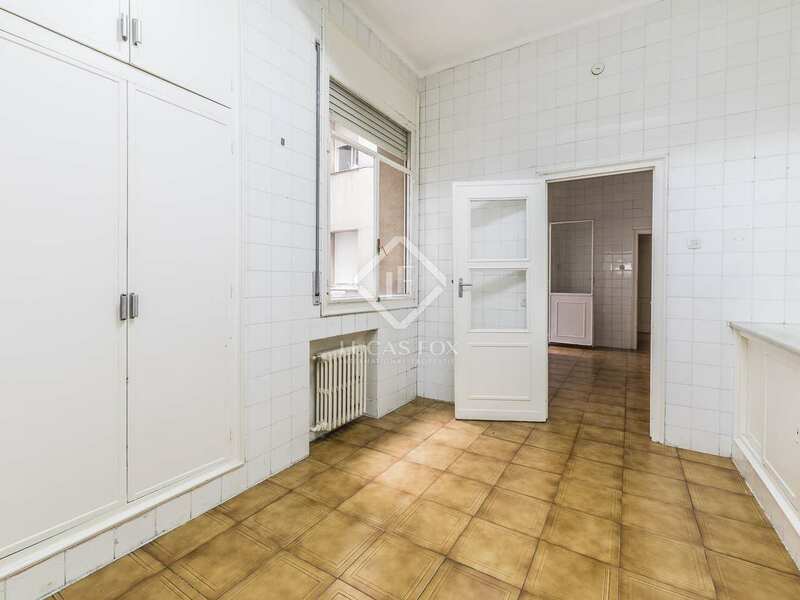 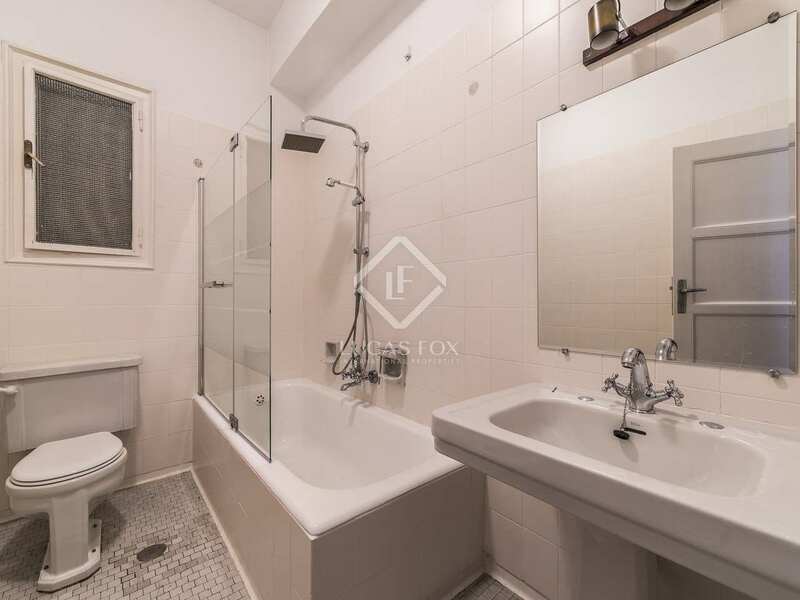 The property has great renovation potential: the new owner can take advantage of the functional distribution and spacious rooms to create their dream home. 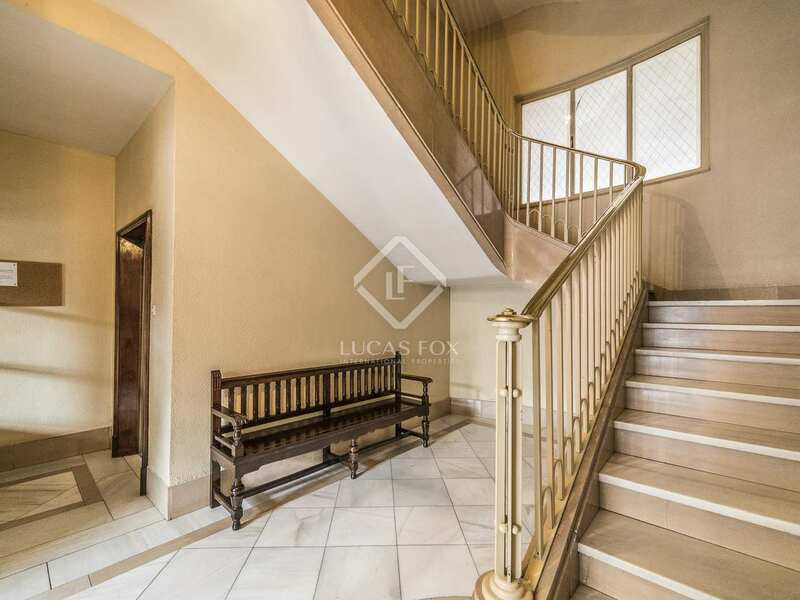 The apartment is south facing and enjoys abundant natural light throughout the day as it overlooks the main street and bright interior courtyards as well as having clear views to a beautiful square with a children's playground. 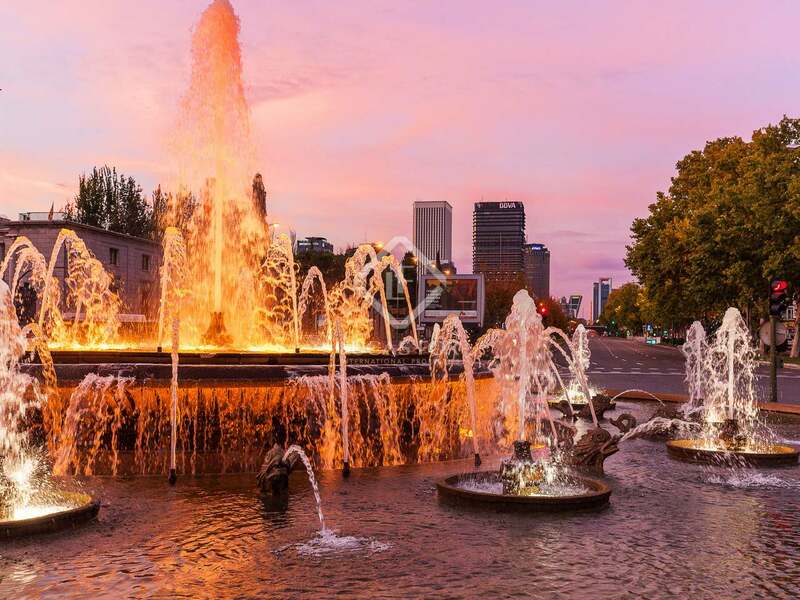 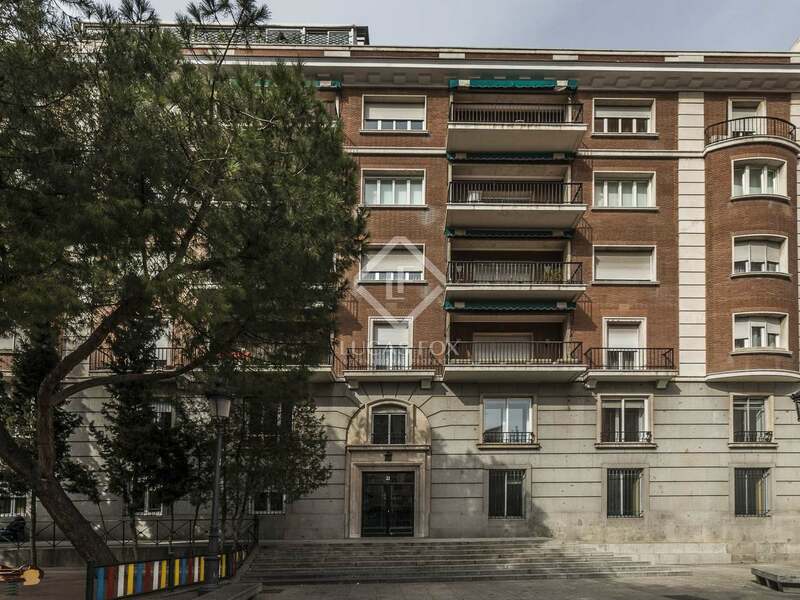 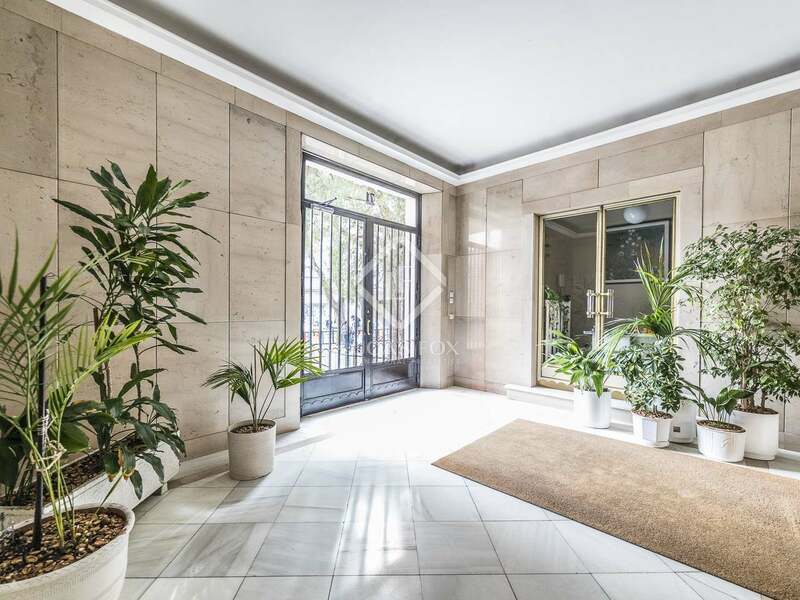 The building has a second entrance on the street running parallel, where there is a parking space which is included in the price: a luxury in the centre of Madrid. 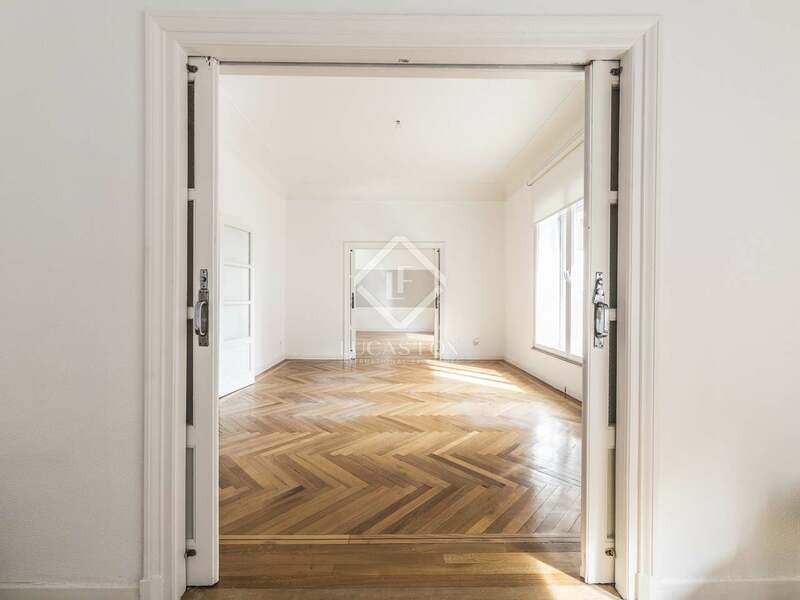 The day area is divided into a large hall, a spacious living room brimming with natural light and a welcoming dining area, ideal for entertaining family and friends. 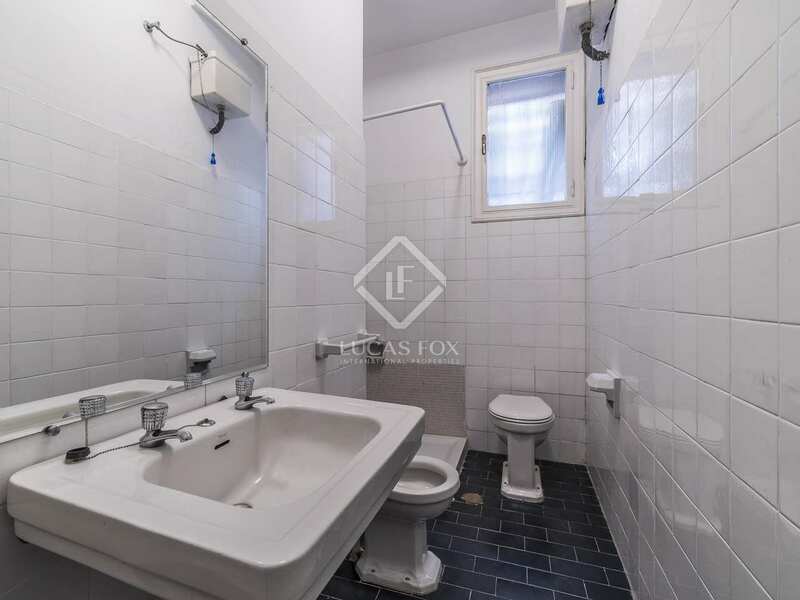 The night area has 2 bathrooms and 3 comfortable, spacious bedrooms. 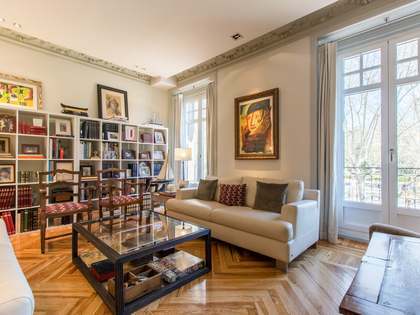 High, 3.9m ceilings promote the sense of spaciousness and amplitude. 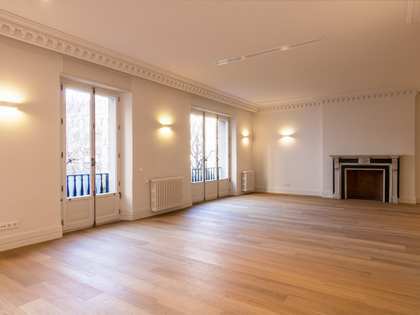 Heating is installed to ensue year-round comfort. 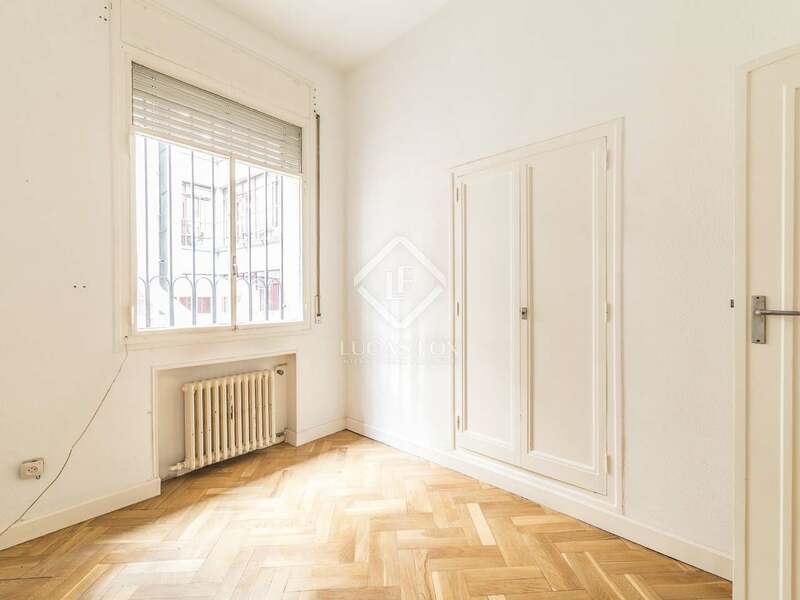 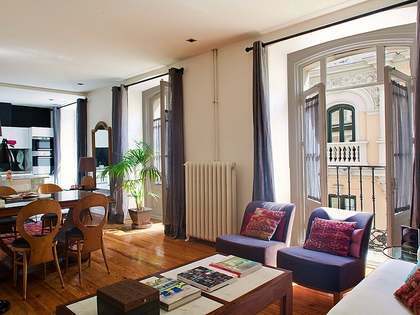 Contact us to visit this property for renovation in one of Madrid's most beautiful neighbourhoods. 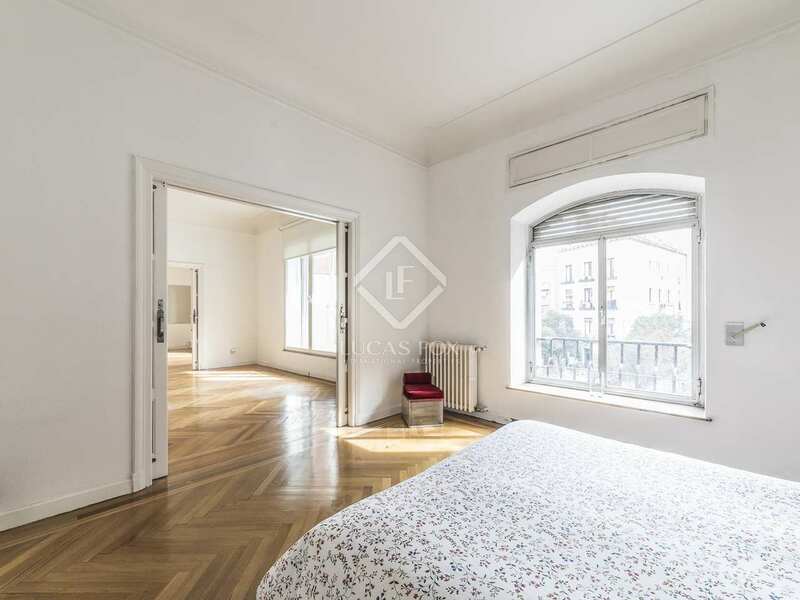 This apartment is located in the famous neighbourhood of Las Letras, the home of great Spanish artists and an area full of culture and history. 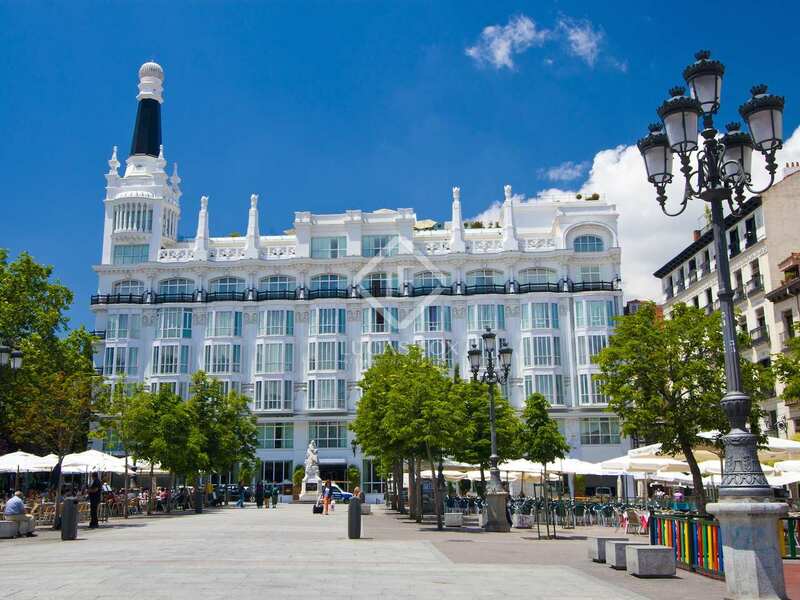 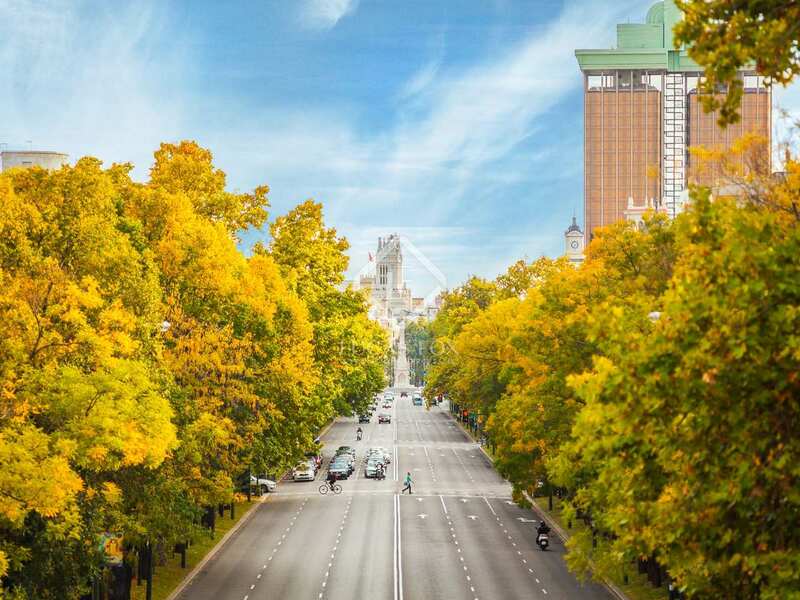 The neighbourhood is characterised by narrow streets lined with charming restaurants and a wide variety of shops. 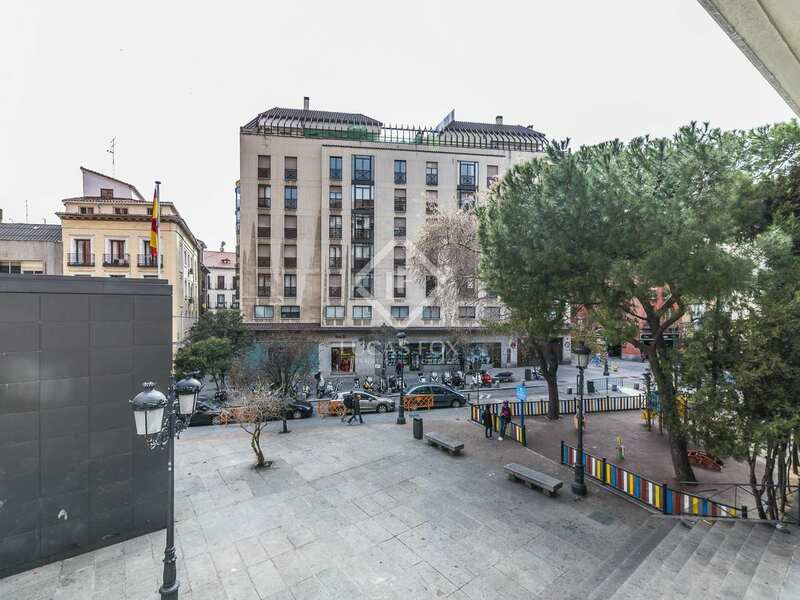 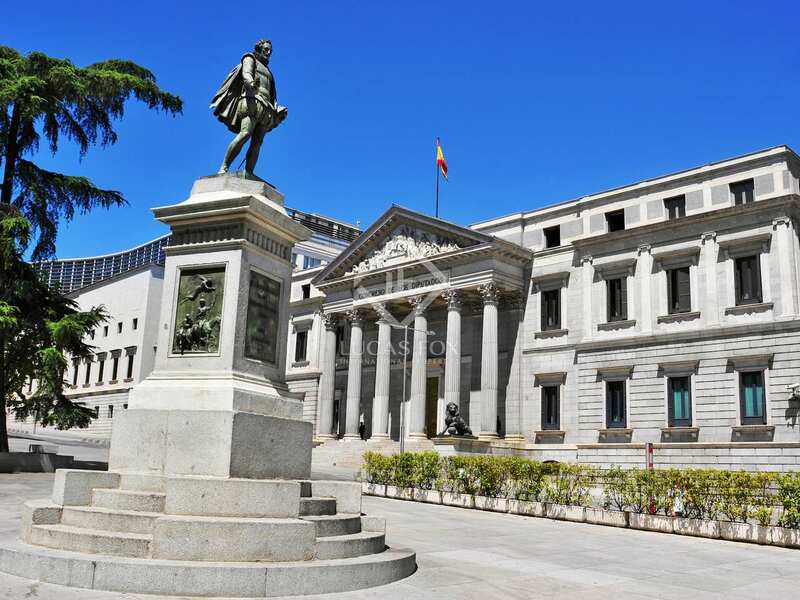 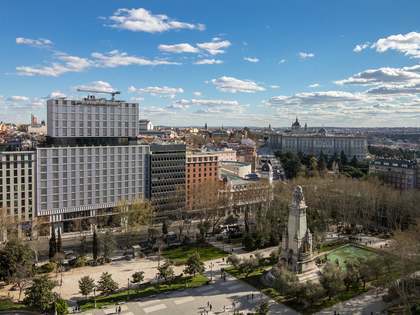 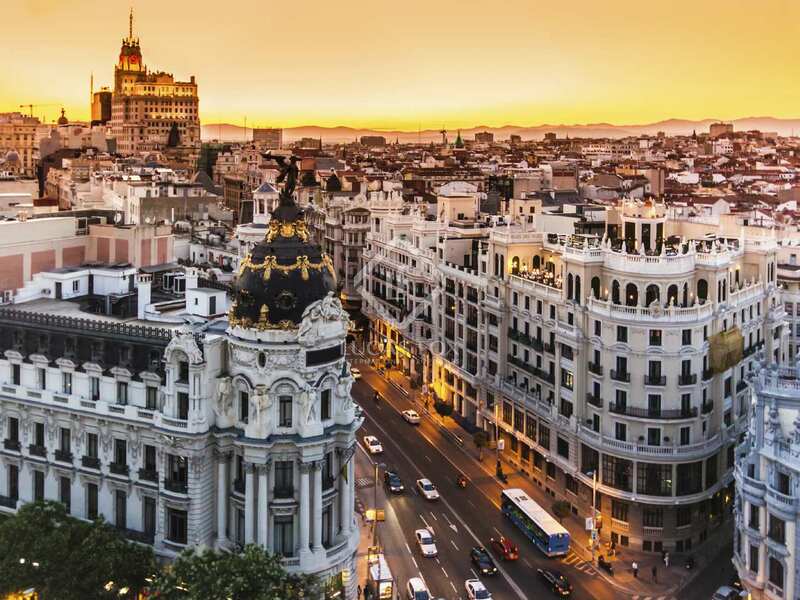 The apartment is at the end of the main street, a few meters from the beautiful Paseo del Prado, an avenue that brings together some of the most emblematic city sites, such as the Prado Museum and the Thyssen Museum.